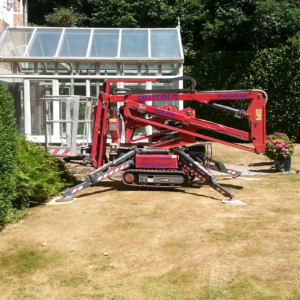 Categories: Cherry Pickers, Tracked Booms. 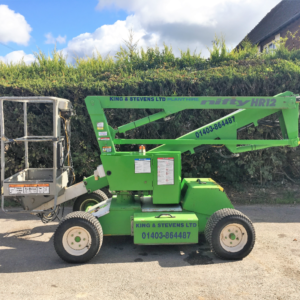 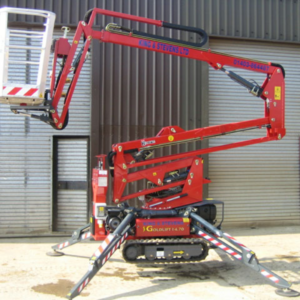 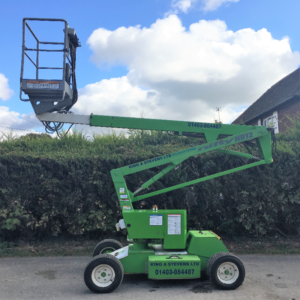 The Hinowa Goldlift 14.70 IIIs offers even higher performance and convenience thanks to the advanced control system and automatic stabilization, radio controlled is ultra-compact, lightweight and versatile, unleaded Petrol engine combined with mains electric power. 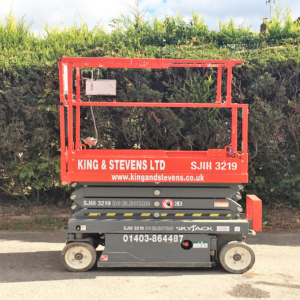 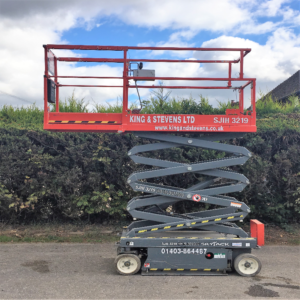 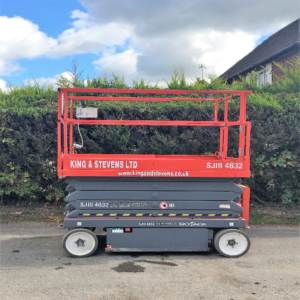 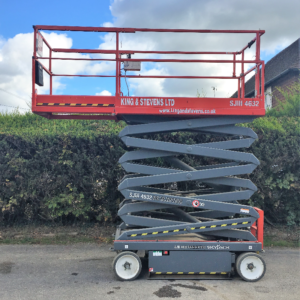 The light aluminium cage is removeable making it compact enough to fit through narrow accesses and with the remote control means that you can walk behind or in front of it whilst tracking.